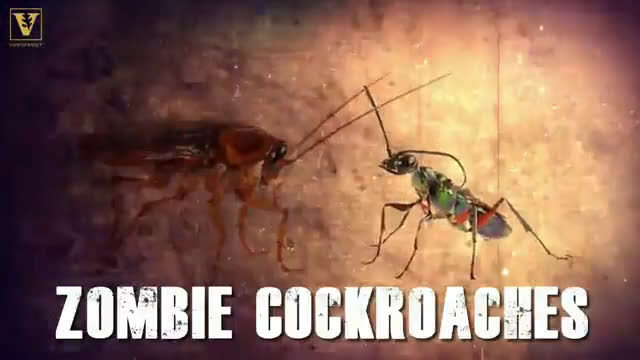 Rick Grimes has nothing on the humble American cockroach when it comes to avoiding zombification. Far from being a weak-willed sap easily paralyzed by the emerald jewel wasp's sting to the brain—followed by becoming a placid egg carrier and then larvae chow—the cockroach can deliver a stunning karate kick that saves its life, Vanderbilt University biologist Ken Catania found. 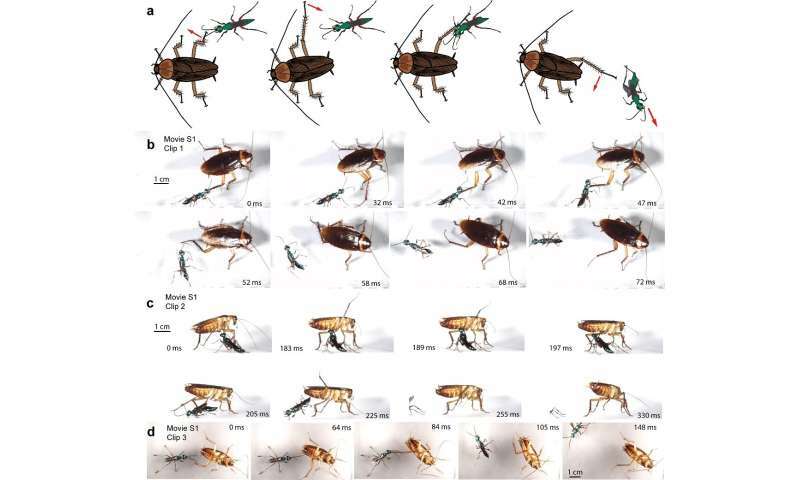 Catania, who studies interactions between predators and prey, read about cockroaches attempting to defend themselves from wasps, but no one had taken a close look at the behavior or its effectiveness. It required ultra-slow-speed videography to capture roaches using the mechanism time and again to prove and understand it. He saw that, before the wasp can get into position and deliver its sting, the cockroach uses a swift blow with a spiny back leg to deter its attacker. The good news for the cockroach: the defense worked for 63 percent of adults that tried it. The bad news: juveniles almost always failed and got stung in the brain. "The cockroach has a suite of behaviors that it can deploy to fend off the zombie-makers, and this starts out with what I call the 'en garde' position, like in fencing," said Catania, Stevenson Professor of Biological Sciences. "That allows the roach to move its antenna toward the wasp so it can track an approaching attack and aim kicks at the head and body of the wasp, and that's one of the most efficient deterrents. It's reminiscent of what a movie character would do when a zombie is coming after them. "The wasp usually figures out there's a smaller and less defensive cockroach out there to be had." Catania's research appears today in the journal Brain, Behavior and Evolution.